Used Condition! YOU WILL FIND MORE INFORMATION ABOVE. PLASTIC GAITER FITTING BROKEN. • All our parts are marked and will be inspected once received. • If you are reporting that item is faulty, only PROFESSIONAL explanation by the garage will be accepted (scanned or photographed diagnostic report). Part number: 8K2713041F. Item: Automatic gear selector. Removed from: Audi A5 3 Door Coupe 2008. Part number - 8K2713139S. Model - A5 (8T3). Year of Manufacture - 2014. DONOR CAR: 2012 AUDI A5 S LINE BLACK EDITION COUPE 2.0 TDI MANUAL. COLOUR CODE LZ3M. MILEAGE 82K MILES. BEFORE YOU SIGN FOR THEM . Part Number: 8K2713041H. We are breaking a 2009 Audi A5 8T3 / 8T Sport Multitronic (Pre-Facelift). 2 Door Coupe 8 Speed Automatic RHD. Removed from the car below but may fit other models/years. Screws, nuts and bolts are also classed as a free gift if included. 8K2713041F RHD. AUDI A5 07-11. AUDI A5 COUPE 2007. AUTO TRANSMISSION - KSS. We won’t take any responsibility for the compatibility of parts unless we have explicitly said it will fit. An item that has been previously used. • We take pictures of every single item, so you can see its exact condition. • If you are reporting that item is faulty, only PROFESSIONAL explanation by the garage will be accepted (scanned or photographed diagnostic report). All parts are tested good and condition. Audi Automatic DSG Gear Knob and Gaiter. Audi Q5 (2009-12)Automatic DSG. Audi A5 (2008-11)Automatic DSG. Audi A4 (2008-12)Automatic DSG. A4 2016>> (A4/S4/Avant/Quattro). A5 2017>> (A5/S5/Cabriolet/Coupe/Sportback). PART NUMBER: 5K2713025F. IN A FULL WORKING ORDER HOWEVER DOES HAVE GENERAL WEAR AND TEAR. (2010) MK1 Audi A5 S Line Gear Stick Selector Assembly. Part Number - 8K2 713 041 H. There is some wear on the leather gator (see images) This comes complete as imaged. Please make sure part is correct before purchasing. Also please see images as these are part of the description. Any questions just ask. Postage (UK MAINLAND ONLY) International buyers please contact us for price and availability of postage to your location. Removed from below vehicle -. AUDI A4 B8 A5 8T 3.0 TDI. REMOVED FROM AUDI A5 8T 2009 3.0 TDI CCWA QUATTRO AUTOMATIC GEARBOX LMK IN BLACK LY9B. AUTOMATIC GEAR SELECTOR SHIFTER. WE AIM TO RESOLVE ANY ISSUES WITHIN 24 HOURS. IF THERE IS A PART YOU ARE LOOKING FOR AND YOU CAN NOT FIND IT. Model - A5 Convertible (8F7). Defects - Has paint marks.scuffed spots,torn spot. Year of Manufacture - 2010. Part number - n/a. Generic Notes on this Part: Goes beneath the gearstick gaitor and centre console. Donor Car: 2007 Audi A5 Coupe 3000cc Quattro. The New and Used Audi Parts Specialist for all Audi models worldwide. It may fit others. AUDI A5 FRONT RADIATOR GRILLE 2012-2017. 2014 Audi A5 2011 To 2017 SE Technik Quattro TDi 4WD 2.0 6 Speed Manual Diesel 5 Door Hatchback Gear Lever 8K0711406 All of our mechanical and electrical parts come with a 3 month warranty as standard, this covers the part itself but does not cover any labour charges incurred from fitment or removal of the item. (Terms and Conditions Apply). For extra peace of mind, extended warranties are available upon request at an additional charge. For more information please message us. Please be aware that all our items are removed from right hand drive vehicles unless otherwise stated. If you are unsure if this item will fit your vehicle or if you have any other questions then please call our parts department who will be happy to help. 8K2713041AD Donor Vehicle AUDI S5 2008-2010 Condition Important Information. AUDI A4 B8 8K 2009-2015 A5 8T AUTO AUTOMATIC GEARBOX GEAR SELECTOR DISPLAY PANEL IN GOOD USED CONDITION. VAG PART NUMBER: 8K2713463. PART NUMBER: 8K2713041AL. IN A FULL WORKING ORDER HOWEVER DOES HAVE GENERAL WEAR AND TEAR. 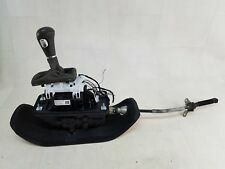 AUDI A5 8T 07-16 AUTOMATIC GEAR STICK SHIFT SELECTOR MECHANISM 8K2713041H RefG4. Condition is Used. Dispatched with eBay delivery - Shutl 1 day. 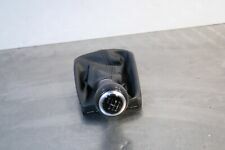 Audi A5 A4 Sportback Coupe Auto Gear Knob Leaver Gaitor 8K271313E 8K2 713 13 E Condition is Used. Dispatched with Royal Mail 1st Class. OE PART NUMBER- 8K2713041AL. 2.0TDI (CODE - CGLC). 2015 AUDI A5 SPORTBACK BLACK EDITION 2.0TDI - AUTOMATIC GEAR SHIFT SELECTOR. A5 BLACK EDITION. TAMPERING WITH THEM WILL VOID ANY WARRANTY IMPLIED. WHATS PICTURED IS WHAT YOU WILL RECEIVE. THIS PART IS FROM AUDI A5 2012 2.0 TFSI CDN. Model - A5 (8T3). Year of Manufacture - 2009. Part number - n/a. PART NUMBER - 8K2713041F. ITEM CONDITION.